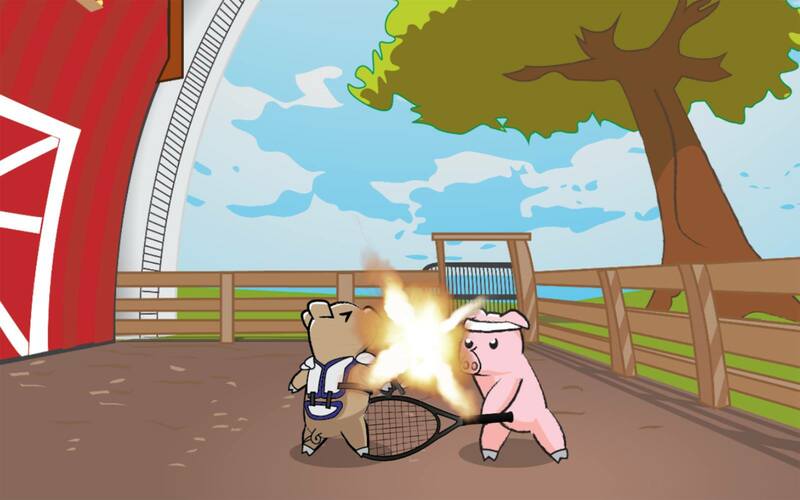 Battle Pig is a health and fitness mobile game that encourages users to workout alongside a piglet-warrior friend. Users can choose workouts, exercise, and level up their pigs as they progress. Then, users battle friends’ pigs for Ultimate Glory! Wingert says Battle Pig’s primary long-term goal is to help curb childhood obesity rates. The idea for Battle Pig all started with a doodle. This is the first startup Wingert has been formally involved, while Madarang works for another startup in the Las Vegas area called Sabanetics. So far, Wingert says the journey has been rewarding and full of great lessons. When Battle Pig won Startup Weekend, they won a free 3-month membership at Work in Progress, which they now call their home. “The community is great and always friendly, plus nowhere else in the valley will an entrepreneur find so much professional help than at Work In Progress,” said Wingert. He says that so far, the biggest challenge in getting Battle Pig off the ground is handling legalities with a limited budget. As a solution, Wingert and Madarang decided to launch a Kickstarter campaign so that they can cross the hurdle of legal costs. Depending on how much funding they receive from the campaign, they also plan to hire extra help on the development side. To get early feedback from potential users, the Battle Pig team had a booth at Sabakon, an anime convention. There, they were able to show off a small demo to the target audience of teens and young adults. The Battle Pig team is hoping to have the support of the #VegasTech community. We have Stretch Goals we will be working on next! At $10,000 all legal fees should be taken care of and, as a thanks to our wonderful backers, we will add in Quest Mode! Quest Mode rewards players with additional experience points, stat boosts, and in-game coins for completing certain workouts and other objectives. At $50,000 we can afford to hire a full time coder to help us produce an open beta within 6 months. Meaning we can all play the game before the official release date! Raising $100,000 will allow us to put in a full Story Mode! The story mode will have users undergo different workout routines of their choice based on skill level. After each routine, players will be challenged by mini bosses until they can take on final bosses like The Big Bad Wolf and Bull E.
At $200,000 we can hire 3 additional staff to help us create and release the full game at an even faster rate than 6 months and with better graphics and content.